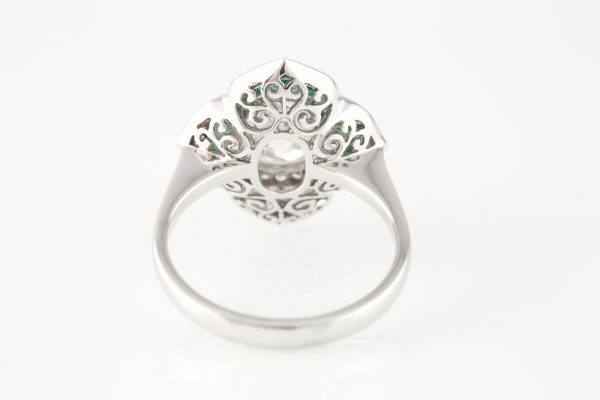 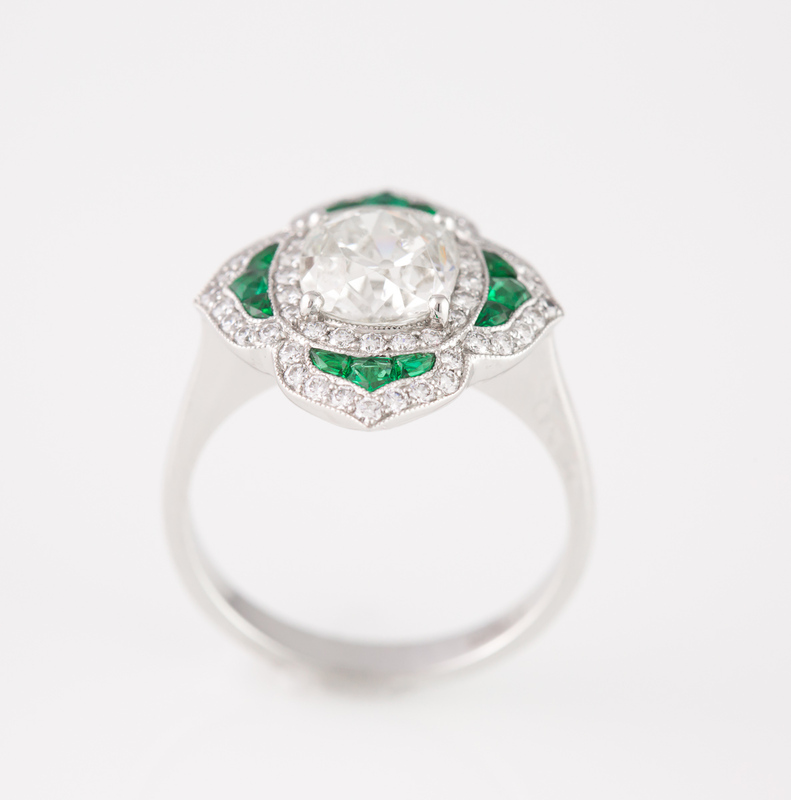 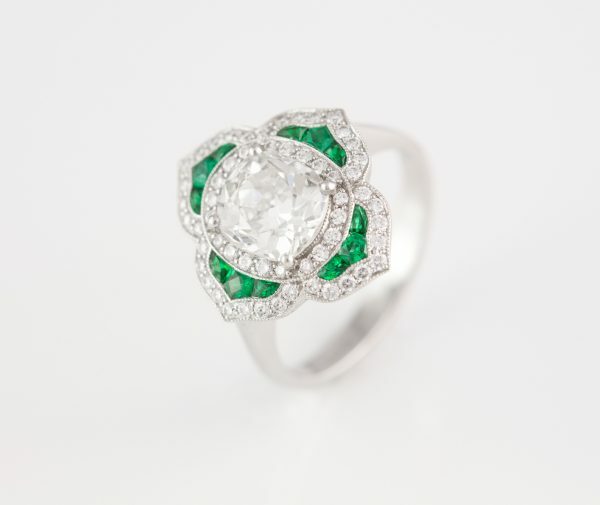 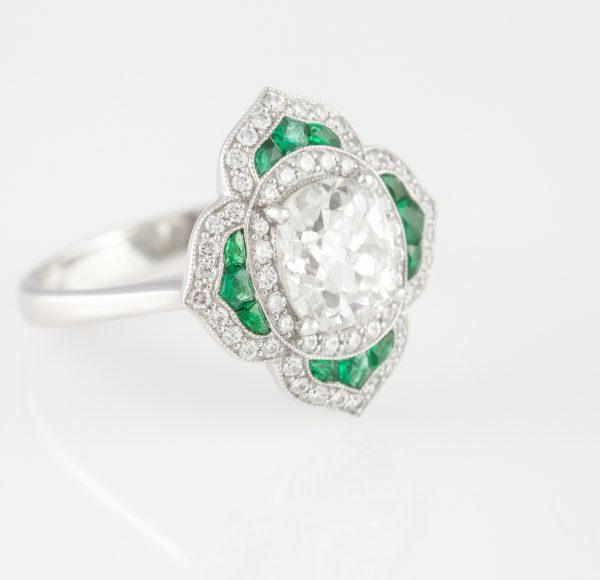 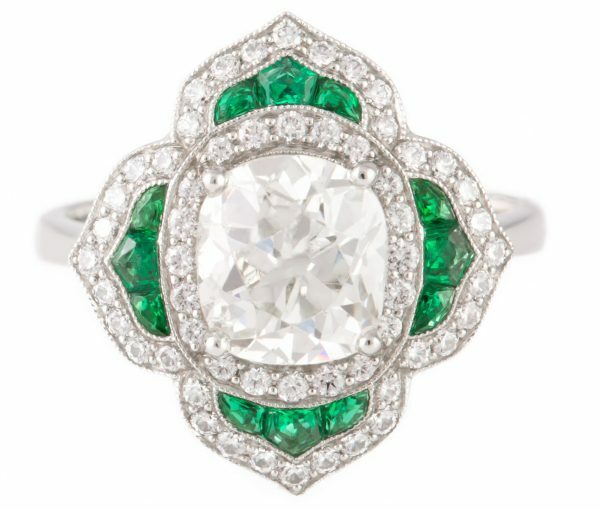 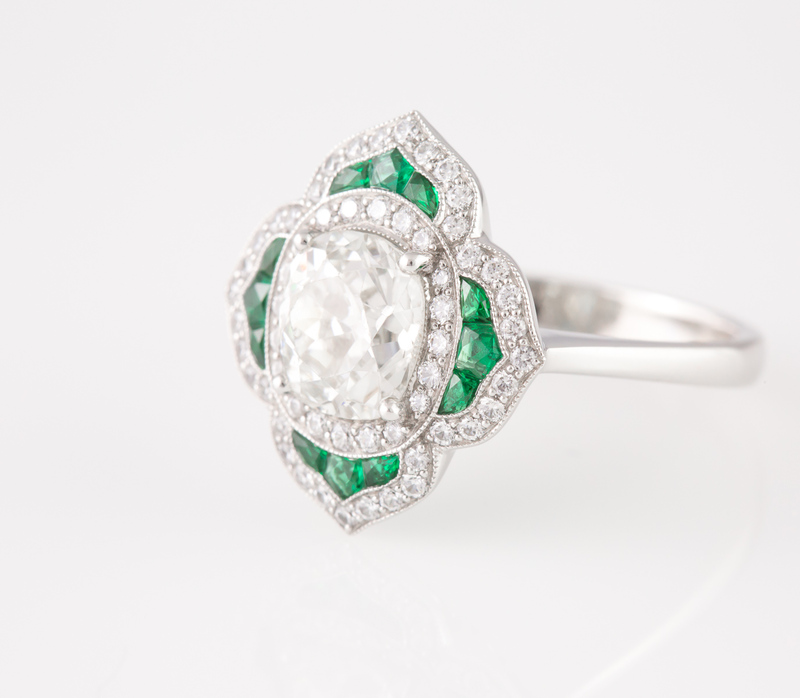 1.76 carat antique cushion diamond ring with french cut emeralds set in platinum. 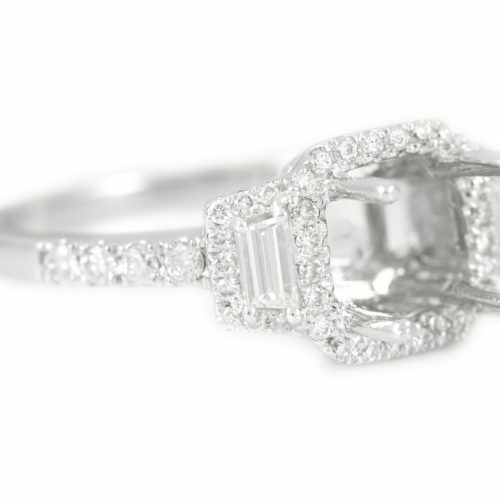 Platinum mounting is molded after a vintage setting with filigree edging and milgrain, even the basket has detailed carving. 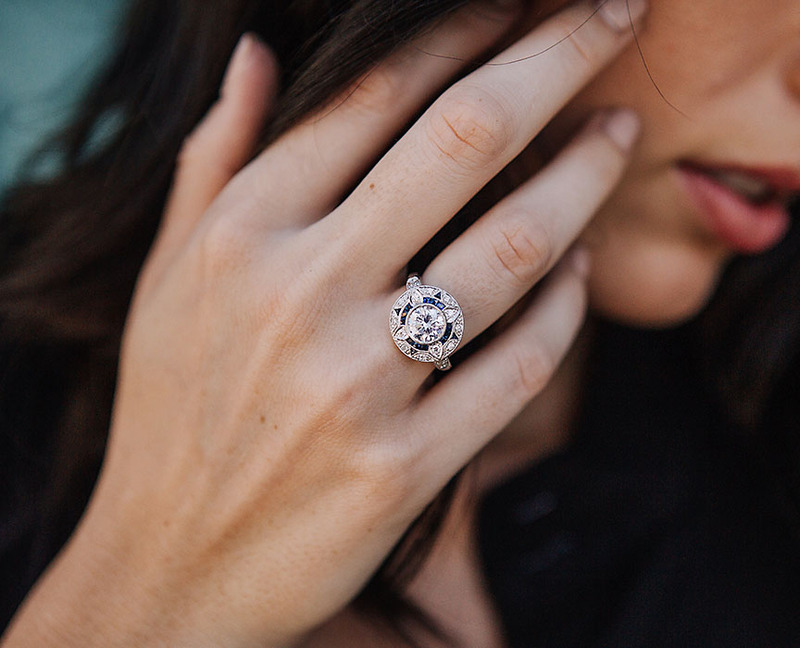 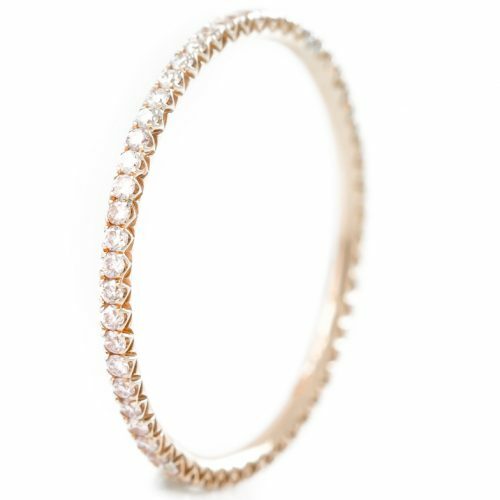 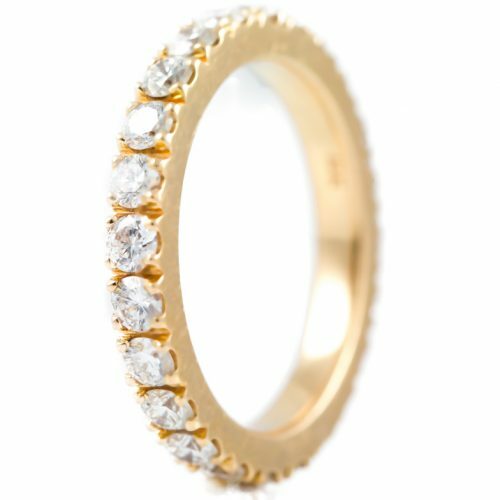 Diamond ring also has French cut Emeralds and Round Brilliant Diamonds that complement the center Cushion Diamond. 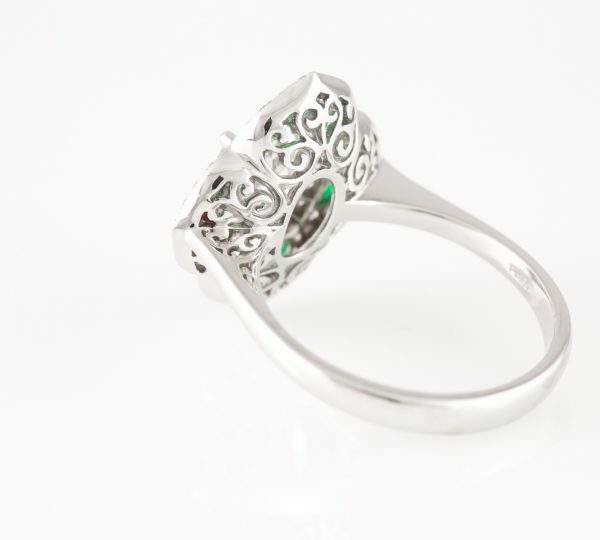 Ring is sizable and can be order in Sapphire or Ruby.